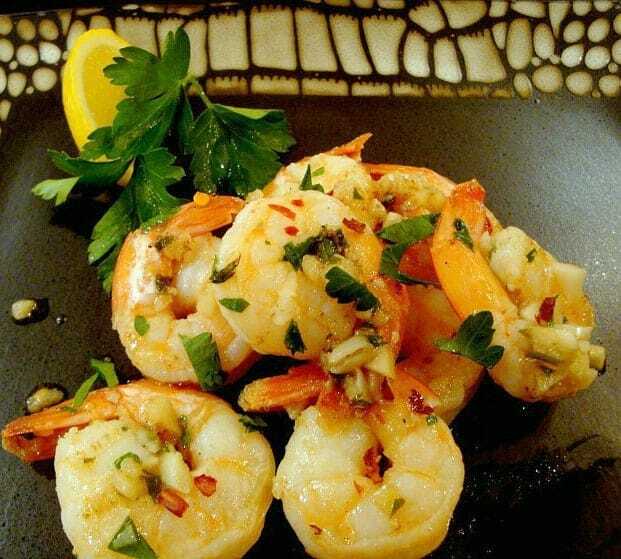 We like shrimp and LOVE garlic, so this garlic shrimp recipe is the perfect, simple combination of both. 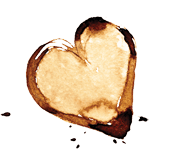 Great for company, a romantic dinner or even a quick weeknight meal. 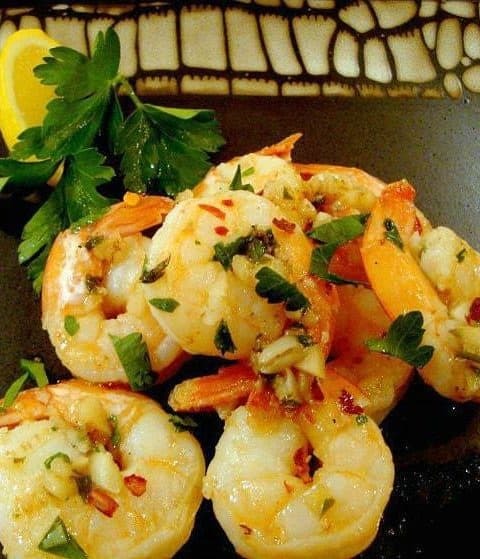 The shrimp are heaven in your mouth with lemon juice, red pepper flakes and the secret ingredient, caper brine. 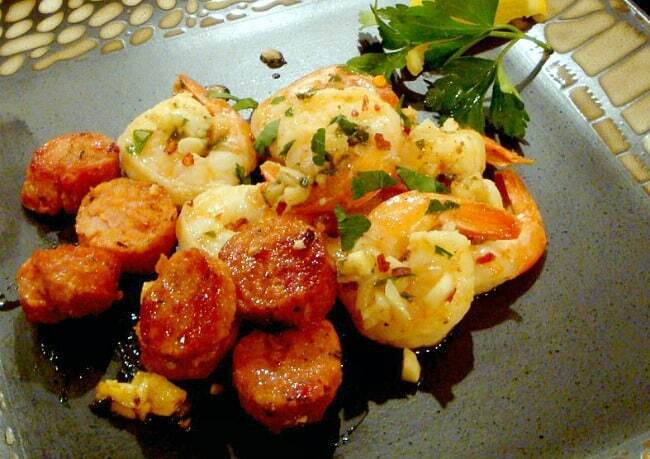 Garlic Shrimp is also A-mazing with a good quality spicy sausage. This combo will have guests oooing and awwing over your genius talent in the kitchen. See what I mean in this quick hands-on recipe. Have all your ingredients ready because this dish is start to finish in under 30 minutes. Serve with some cajun or spicy sausage for the perfect pairing. Could also be a great hot appetizer. Cook’s note; Serving the shrimp on top of a nice toasted sourdough is delectable, but if you really want to bring this right over the top? Find yourself a good quality cajun style brat or sausage. Remove casings, cut up and saute in a separate pan with about 1 teaspoon of olive oil while the butter sauce is rendering for the garlic shrimp.